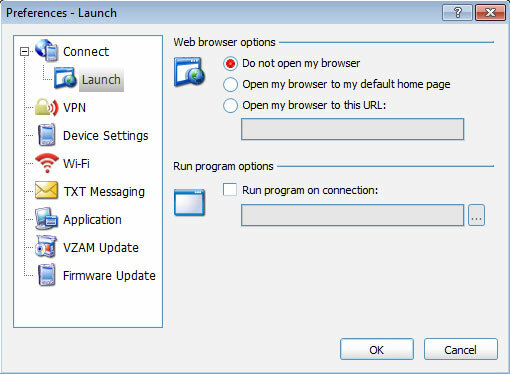 Upon connection the default browser does not launch (default setting). Upon connection the default browser launches to home page. Upon connection the default browser launches to the specified URL. Navigate to and select the preferred program to run.